HAPPY LABOR DAY!! 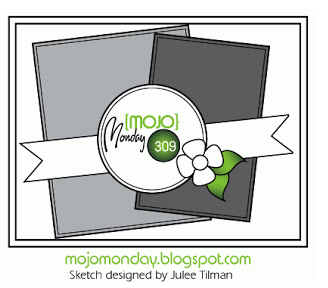 Since I have off work I was sitting here thinking about what I could do to enjoy the day off and I decided to look what sketch was on the MOJO Monday blog and play along. Here is a close up of the dimension as I did a lot of layering with 3-D foam tape. 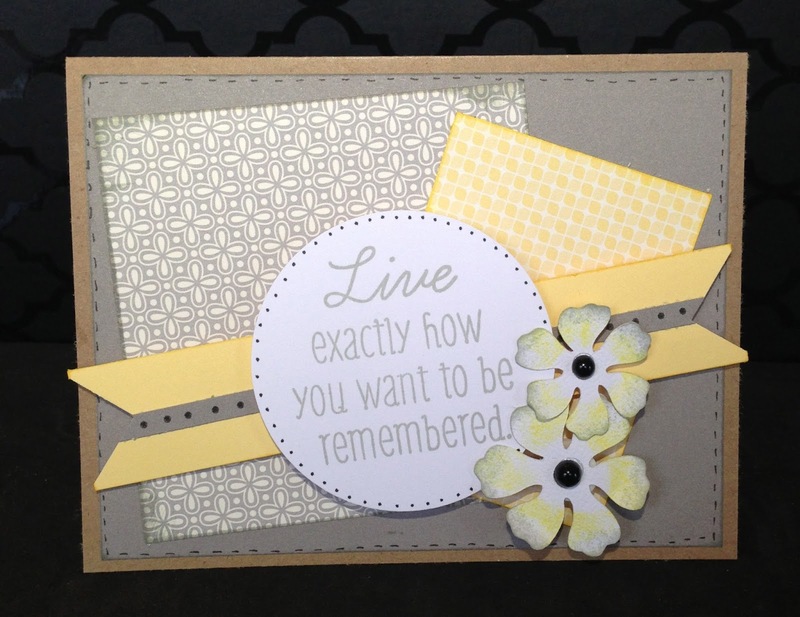 The card base is Desert Sand cardstock. 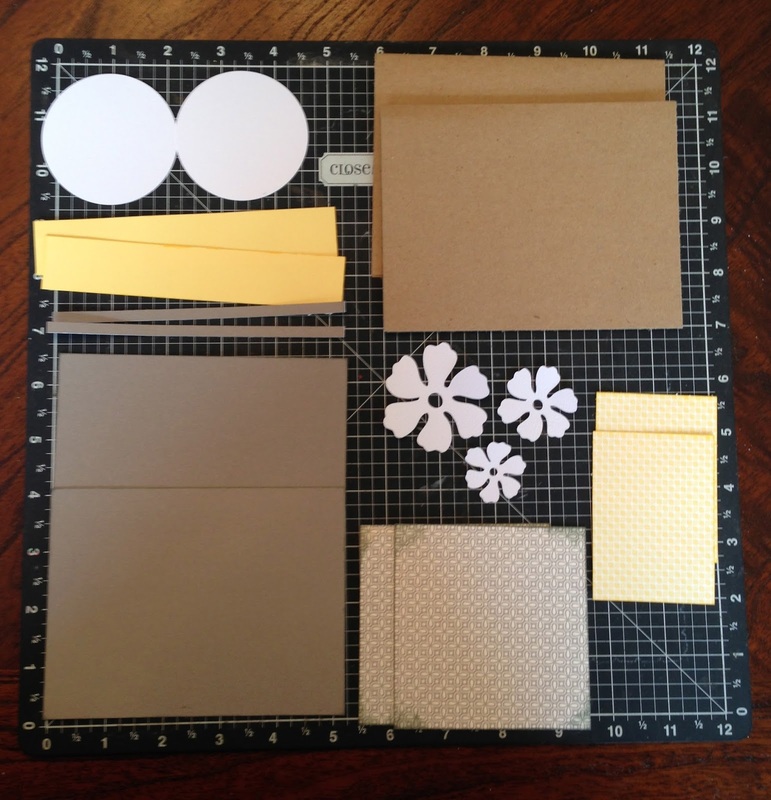 I aded the Buttercup (yellow) cardstock for the banner. The rest of the paper used came from the Babycakes paper packet. I cut out the flowers and the circle using White Daisy card stock. 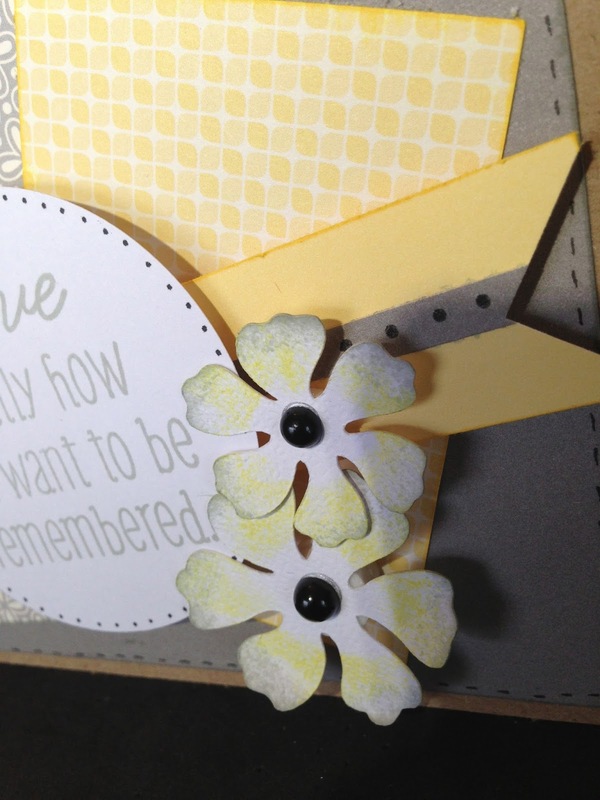 The flowers were cut from the CTMH Artiste cricut cart. I distressed the banner and yellow patterned paper with Sunny Yellow (retired) ink. I distressed the Whisper (grey) cardstock and grey patterned paper with Whisper ink. I put together the card mimicking the sketch. I used 3-D foam to add dimnsion. The sentiment comes from the new Hostess Reward stamp set "You Only Live Once"....(ask me how you can get this stamp set!!) I added 2 black pearls to the center of the flowers and distressed the edges of the flower with whisper and sunny yellow ink. Shop here....Thanks for stopping by and Happy Crafting!! This is a beautiful card. I've seen it all over Pinterest this week. Congrats to a CTMH sister in winning this month's Mojo Monday contest! Yay for CTMH winning at Mojo Monday! Cute card. Thank you Casandra :-) I am speechless! Thank you!! Not a color combination I would normally use but I really like how it came out. Always fun to try something new.